What do you mean when by ‘digital’ medical device? All other competitors’ products are 20th century devices. They all require the ambo or paramedic to read the text etched into the bracelet or to find a phone number and then call it to find out the information. The Quoll Medical Alert is truly a 21st century digital device as the QR code is scanned and in moments, the important information is revealed to be read and actioned immediately, without any delay. What’s the advantage to me of digital? Apart from the immediate availability of critical information to do with health conditions, medications and implants, the Quoll Medical Alert also includes the patient’s identification details and lists their next of kin plus their emergency contact details. Additionally, it holds a reference to the patient’s Living Will, if they have one and can indicate that they are an organ donor so that there is absolutely minimal delay in harvesting organs and retaining their viability. QR codes are machine-readable codes, similar to the normal barcodes you see on every product you can buy in a supermarket or other store. Their main point of difference is the amount of information they can contain. Using a QR code increases the level of security of a person’s information. That’s one of the smart things about using a QR code on a medical alert device. Your private information is not ‘out there’ like it is on an engraved bracelet or pendant. So you needn’t feel embarrassed that your information can be seen by anyone who looks at it. The QR code needs to be ‘read’ by an electronic device such as a mobile phone or tablet. Can only medical personnel read my QR code? No. Anyone with a QR reader on their mobile phone or tablet can access your information (the Facebook app now has a QR reader, click here to learn more). But in order for them to do so, you would either have to allow them to scan it (which would involve holding your pendant, bracelet or other Quoll device the right way around for them to do so), OR you would be in a condition in which you would hope someone would seek the information, such as unconscious, unable to speak or feeling extremely unwell. Also, keep in mind that the information on your Quoll Medical Alert device is added by you. It contains important medical and contact data and not information such as credit card details. How does your system differ from others? Because the Quoll Medical Alert is digital, it can store so much more information than other products. For instance, a traditional medical alert bracelet is engraved with an abbreviation of your medical condition. One example is diabetes. The bracelet’s engraving may say: “DIAB”. Yet sometimes, merely knowing someone is diabetic is not enough in a medical emergency. It may be important to know if they are insulin-dependent or if they are a Type 1 or Type 2 diabetic. Additionally, the patient may be a child, elderly or unable to communicate and if they are lost, or their primary carers are not nearby, how will anyone trying to help know who to contact? 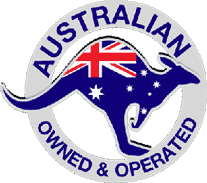 Are you Australian owned and operated, as some companies say they are but are operated in other countries? Yes, Quoll is 100% owned by Australians and operates from the greater Brisbane area. The Principal has owned and operated successful businesses for 32 years in Australia including Australian One-Shot Passport Photo System, Australia’s largest distributor of passport photo equipment to pharmacies and licenced Post Offices. Your data is stored in Australia but can be accessed from anywhere in the world, in the event of a situation where you need help. Do you have a joining fee, subscription or membership fees? The purchase price is all that you pay. There is no annual fee or membership fee involved. Do you have resellers that I could visit? There are approximately 70 pharmacies in southeast Queensland that carry the product, click here to find your closest retailer. More will be available soon. Do you only have a necklace (pendant)? We started with necklace pendants in enamel and stainless steel, the smaller of which can also be worn on a charm bracelet. There is the Medi-tag which is an adhesive tag that was designed to be applied to a bus pass, driver’s licence, Medicare card, mobile phone or the clear window in a wallet. It is ideal for children. Recently introduced is the Quoll Medical Information card. This is similar to the Medicare card in size and material. It is designed to be carried in a wallet. Bracelets will be an addition to our product range in the near future. These will be available in stainless steel style and enamel. All bracelets and pendants including the enamel style are made from corrosion-resistant 316 stainless steel. Can this system be operated from anywhere in the world? This is truly an international product as both the Caduceus medical symbol and the QR code are recognised across the globe. The added advantage is that most people with medical training can read or have a colleague who can read English. We are currently conducting research to identify the need to add an active translator to the site. Do you send the product to other countries? Our website is internationally marketed so overseas sales are welcome. Quoll is the only company in the world that offers a digital system. This means that if your medication changes or you have a new diagnosis, you don’t have to buy another bracelet or necklace. You simply update your records over the internet; it costs nothing to add to or change your record. All other companies sell medical jewellery with engraved notes on the back. When you have a new diagnosis, you have to buy a new one, which can cost up to $600 plus. Quoll Medical Alert is Australian owned and operated from Lawnton in Brisbane. If your questions have not been answered here, we welcome your contact. Call us on 1300 727 906 or send us a message.